Every once in awhile, we hear rumors about comic book movies that we can't help but cheer on. The latest comes from Latino Review where they report that Warner Bros is looking to cast the role of Black Canary to be introduced in the 'Justice League' films before possibly getting a 'Birds of Prey' feature. 'Mad Max: Fury Road' actress Abbey Lee and 'Supernatural's Alona Tal are reportedly being considered for the role. The heroine Black Canary is attributed to Dinah Drake and later her daughter Dinah Laurel Lance in the comics. Both are martial arts experts with the younger Dinah capable of emitting a "Canary Cry" - an ear-splitting sonic blast that renders opponents painfully incapacitated. It's not clear which Dinah will be introduced in either 'Justice League' film. If the casting search has started it could mean an appearance in 'Justice League Part 1' opening 2017 and/or 'Justice League Part 2' in 2019. 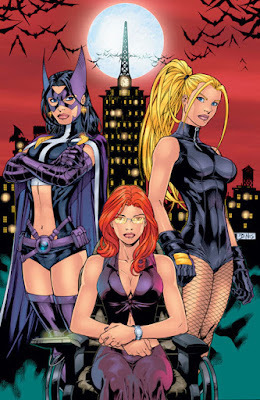 At some point afterward, a superhero team-up of another kind could follow based on the comic 'Birds of Prey.' That team featured Black Canary and a wheelchair-bound Barbara Gordon with the codename Oracle. Oracle provided intel, logistics, and hacking services for a rotating roster of heroes including Canary, The Huntress, Batgirl, Catwoman, and others. It would be a groundbreaking feat if Warner Bros stays resolute in making 'Birds of Prey.' In this golden age of comic book movies, there has yet to be a female-driven feature film much less a team of superheroines. There is a 'Wonder Woman' film currently in production and is slated for release in 2017 while Marvel's 'Captain Marvel' has been pushed to the summer of 2019. It's taken over 75 years to finally get the Amazon princess her due on the big screen while her male "super friends" have gotten multiple adaptations. 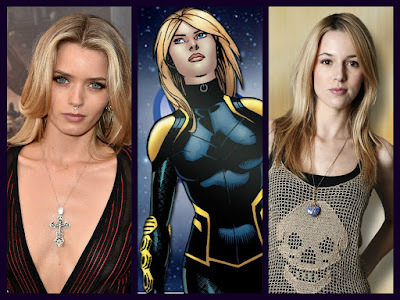 So the thought of seeing multiple female leads in iconic comic book roles would be deliriously stupendous. Warner Bros would be wise to involve fan-favorite and legendary comic book writer Gail Simone who wrote over 50 issues of the comic. If there is a Black Canary or Bop movie and I'm not involved... ....SOMEONE's taking a beating. As usual we have to temper any excitement with the disclaimer that these are only rumors, as much as we may want it to be true, but there's been no official confirmation and while Latino Review has a great track record of scoops things in Hollywood can change at any minute. What do you think? Are you excited for the casting of Black Canary or the possibility of a 'Birds of Prey' movie?